Catladyland: Cats are Funny: CatConLA is Almost Here! Hey! 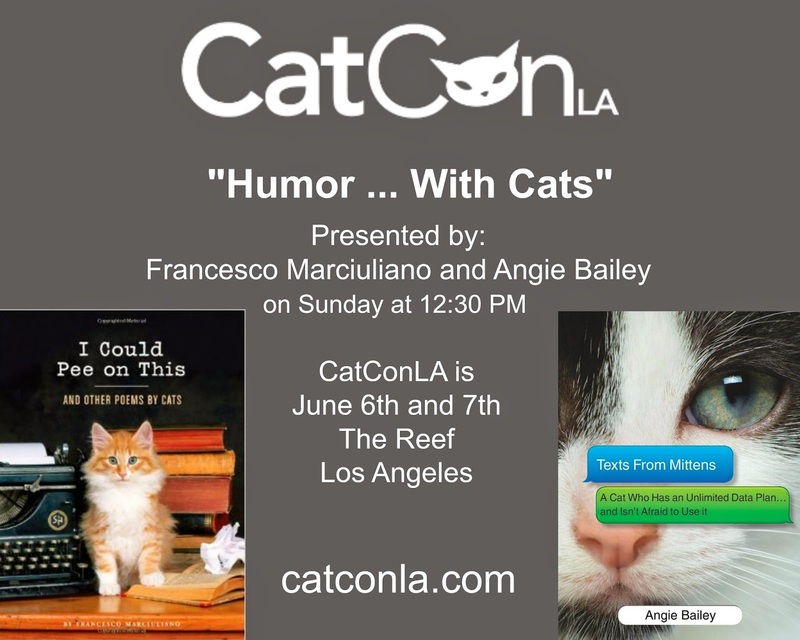 CatConLA is right around the corner, and I'm excited to co-present a session called "Humor ... With Cats" with New York Times bestselling author, Francesco Marciuliano. 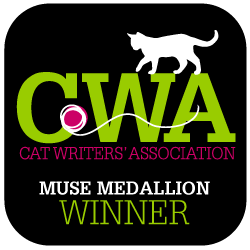 You probably know him best from his hysterical book, I Could Pee On This: And Other Poems by Cats. Guess who else is going to be there? Lil Bub herself, as well as Simon from Simon's Cat, and many more cool people and cats. Plus, there will be tons of vendors will super-cool cat stuff to sell. You know you need more super-cool cat stuff, right? I hope to see some of you there! And if you can't make it, please share with your friends in the LA area. Check out the site for full details here. And buy tickets here.